Lets cut right to the important stuff. Maddux is out of surgery and he is doing well, according to the veterinarian. He had four pieces of the toy he ate over a month ago in his stomach, but his intestines were clear, which is a good thing. When I spoke to the vet this afternoon, he was in recovery and awake. Although he has to be there till Wednesday, they are letting me go visit him tomorrow evening after work. Now, lets rewind. I brought him straight to the vet this morning when they opened. 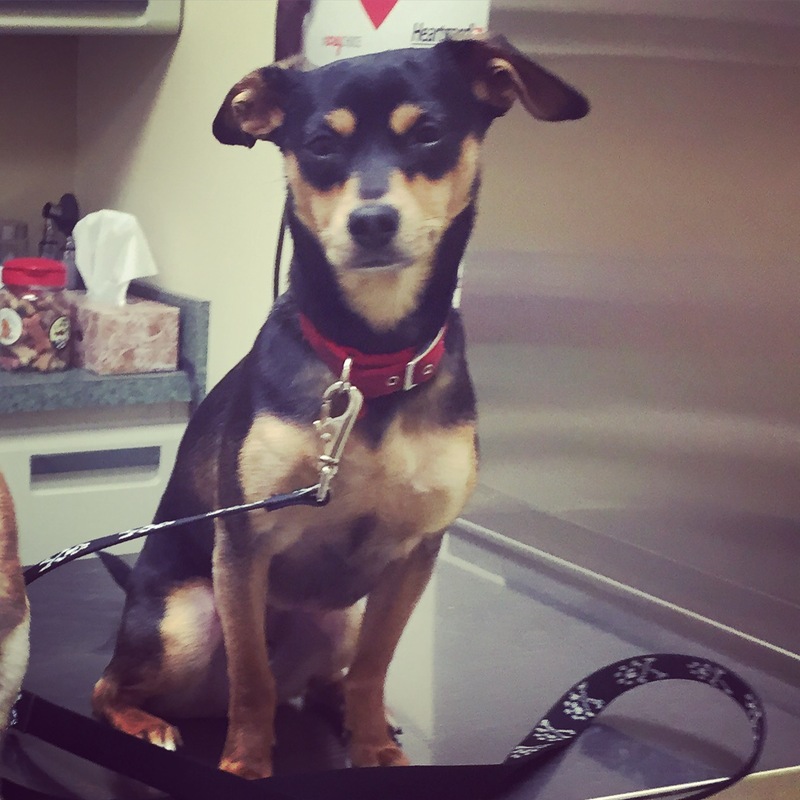 After looking at the x-rays from the emergency vet the day before, they were still a little hesitant to do surgery. So, they did another set of x-rays. That set showed there was definitely something in his stomach, but that the intestines issues from the day before seemed to no longer be an issue. However, if we didn’t do surgery, whatever was in his stomach, because of where it was sitting, could shift and eventually cause more problems. Putting a tube down his throat to take it out wasn’t an option, because if it was the plastic toy, it could hurt this esophagus. After getting an estimate on how much the surgery was going to cost, and almost needing medical attention myself, I signed the paperwork and he was off to get it removed. 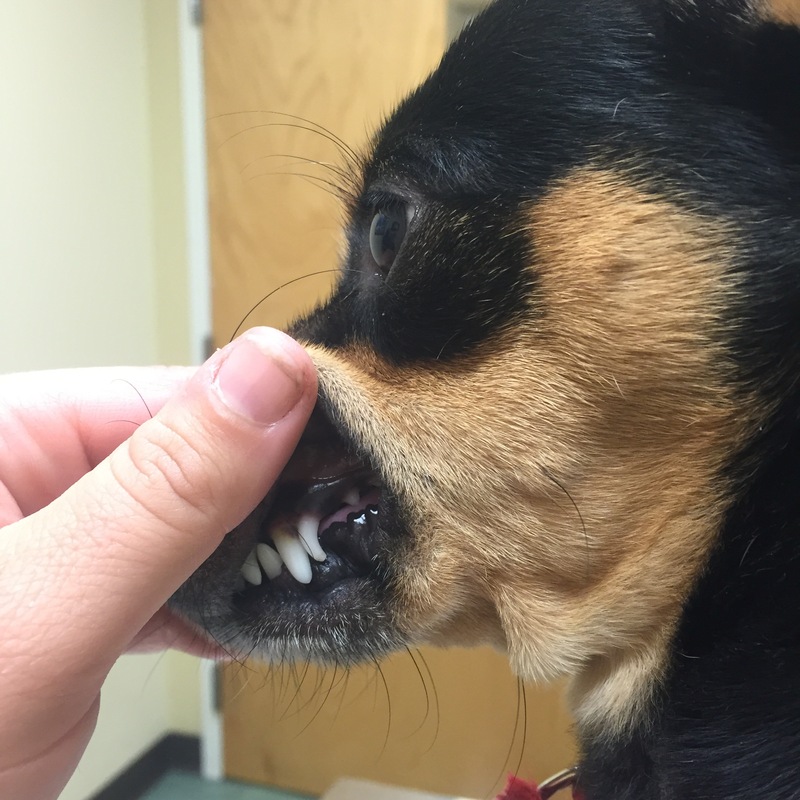 Since they were already putting him under, they were going to also remove his extra K-9 teeth. When he comes home, he can’t jump or be active for at least 10 days, which if you know Maddux, is going to be a challenge. I see lots of crate rest in his future. Also, I had to email the local kennel club where we had just signed up for rally, more obedience and agility classes and explain the situation. I’m not sure what’s going to happen with that. Yikes! Thankfully he’ll be ok. Sending healing hugs.